When I’m out and about surfing the internet I read a lot of information about supplements and what you should eat to get more energy. Here I will share what kind of supplements I take and how it works for me. Over the last five – six years I’ve taken extra magnesium power. It helps my body to relax, perfect before I go to bed, and I take a small dose 1-2 times per day. Another powder I take almost every day is L-glutamine. It helps to get rid of sugar craving and is good for your focus. It helps your brain to relax and is an amino acid that is used in addiction treatment, it works because it makes the brain feel happy. In the winter, I don’t get enough vitamin D, and I decided that it was time to eat more of that every day, I take a strong dose every day. A holiday in the sun every winter is probably also a good cure. I randomly started to take Coenzyme Q10 a while ago, and lots of my tiredness I felt before disappeared when I did that. There are lots of medical studies researching the effects of Q10, and it is good for the heart and your mitochondria. It helps your body to get energy into the cells. I think it’s up to each of us to try out what works for us, we are all individuals with different bodies on the outside and the inside. What works for one may not work for another. 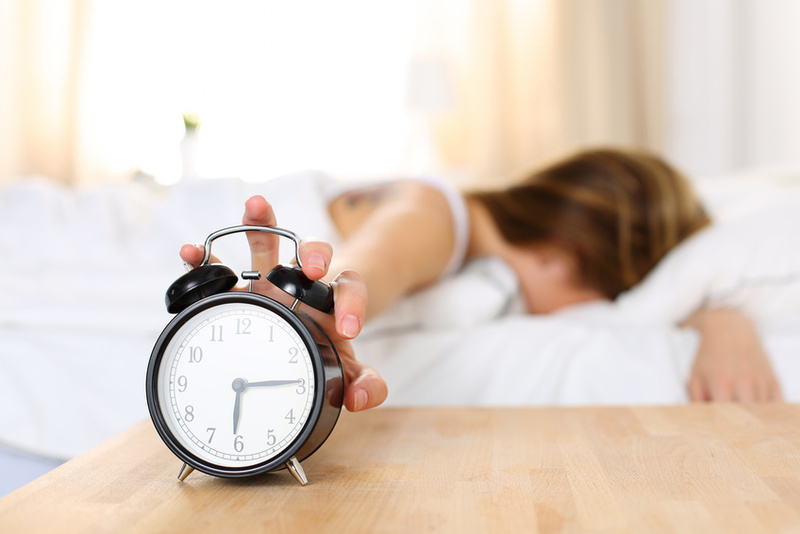 Can you change and become a morning person if you’ve been a night owl for 30 years? I argue that you can. Here is my story. For a big part of my life I was the most tired person in the world in the morning. I could hardly do anything before 9 am. There was a period when my lectures at university started at 8 am but I could not listen and take in what was being said before 9 am, even if I had slept well the night before. I grew up with a mum who was a night owl and a dad who was an early bird. When I look back on my childhood and late teens I think I made a choice to identify with my mother when it comes to my sleeping habits. Or maybe this was my natural 24-hour cycle? 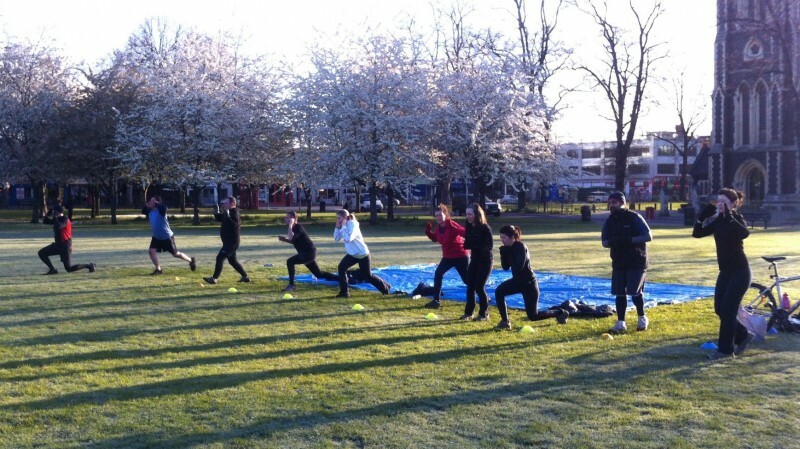 When I had been walking through one of the parks in Chiswick, West London, I had seen some people doing some outdoor bootcamp training. Through Google I found out that the bootcamp organiser was Urban Vitality and I decided I should try the early class at 6.45 am. I thought that this may help me in my attempt to become more awake in the mornings. Exercise and a bit of socialising should help. I started the bootcamp in October and it was a little bit confusing in the beginning. There was new gear, new games, new people and new vocabulary. I had never heard of ‘burpees’ and ‘mountain climbers’ before but I quickly got into the new jargon. When you try something new it’s crucial to get the right kit to start with. If you don’t you may pull out because you are not comfortable. To do bootcamp in a park in the winter you need warm gear. 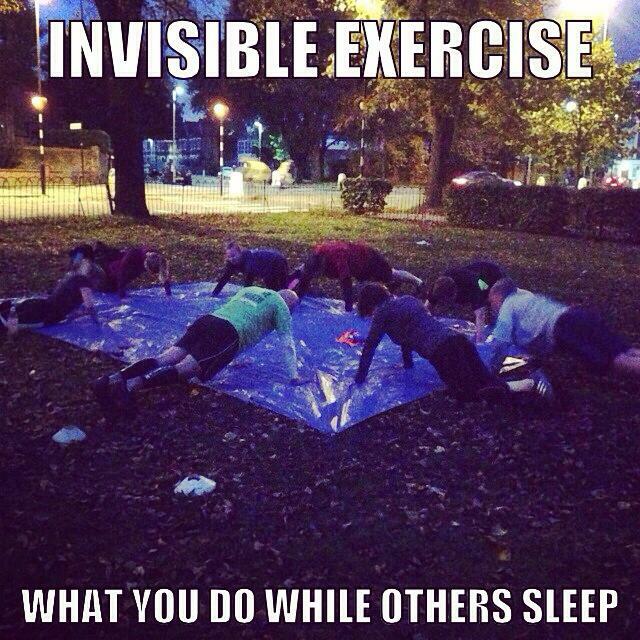 Nothing stops you from doing bootcamp; you do it in snow, rain and hail. I got new shoes that didn’t let any water in and waterproof gloves and I used my beloved old fleece hat. This is me after one of the early morning classes, I’ve always been very flexible. John Limpus, the founder of Urban Vitality, was doing his best to get people to chat in the morning bootcamp class. As a night owl I was not the ‘chatty’ version of myself that early in the morning. One of my bootcamp friends, Darren, was always teasing me for yawning throughout the class. Then one day my yawning stopped. I had been doing bootcamp 3-4 times a week for over 100 days. I had got into a strict routine to pull myself together in the morning and go to bootcamp. Repetition works. Now I’m much more aware of what kind of health advice to trust since I got a basic course in nutrition by going to bootcamp. Here we were playing one of the harder end-of-session games. 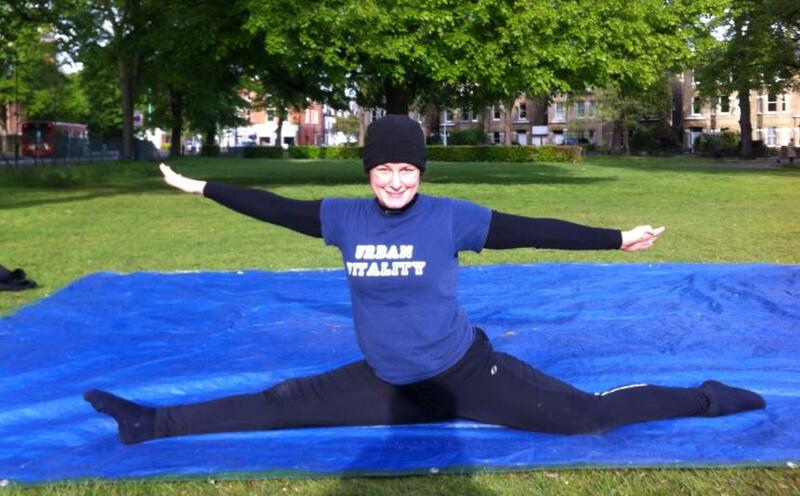 I did the Urban Vitality Bootcamp for 4.5 years. Then I got an injury and had to change the exercise I do. Running around on the grass was too slippery for me so now I work out in the gym or by myself outdoors. I would not suggest that morning bootcamp is for everyone; there are evening classes as well that may fit some people better. One of the nice side-effects is that I got to know lots of local people, which in a big city is invaluable. Six years later I don’t brand myself as a night owl. I’m much better at going to bed on time and I still like exercising in the morning. The biggest difference is that I wake up and my brain works straight away; I don’t need to be awake for two hours to feel like a proper human. Changing any habit is not easy, especially the kind of habits that you’ve had for years. I would say that it takes at least 100 day to notice a difference, and then you need motivation to stay with it. For me it helped hugely to have my bootcamp as a habit change agent. Please connect and share your story about changing a habit, make a comment or contact me on social media, I read every tweet and message. 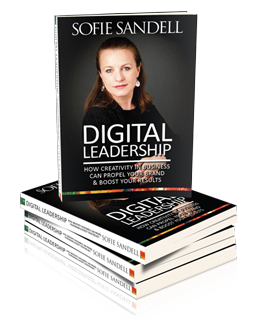 If you would like to stay in touch sign up to my Digital Leadership Inspirationnewsletter. 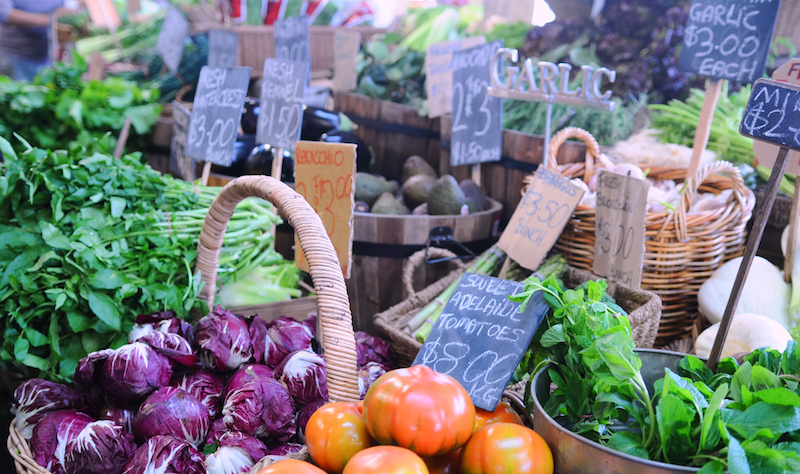 Food as medicine – does it work? For years, I’ve been experimenting eating different foods and sometimes supplements as well to see if I felt different, better and stronger. Why? Because I need to look after my energy and make sure I can stay focused on writing, speaking, thinking and being creative. If you on an average day eat more than 20 different foods you are within the safe span of getting enough of what you need, and under 10, you probably need to see if you can add more variety. We need to eat food with colour. I use to think that I should eat vegetables that are green, yellow, orange and red every week, and it’s a good reminder to eat a bit of everything. The guidelines in Sweden say that we should eat 500 grams of vegetables and fruits every day, in Australia, they say 5 vegetables and 2 fruits, in the UK the food mantra is 5 per day. The rest of the world have similar ideas how to eat well I think. I heard in a video by an Australian nutritionist that only 1 of 10 Aussies eats that recommended amount. It’s probably similar in other countries. Variety and new experiences are great for you, get a new weird vegetable you never heard of next time you shop! On a normal day, I would not eat any berries. So then I would have been just under 20. 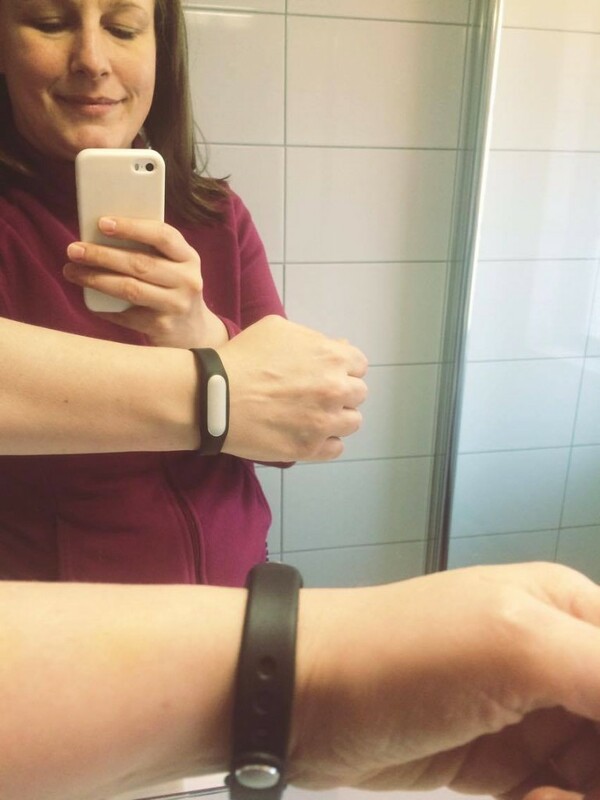 Earlier this year I decided that I should try a fitness bracelet, you know, one of those things that measures how far you walk in a day and how many hours you sleep. This conversation changed my mind. To get to know the fitness bracelet market I searched online for different designs and I also checked out some bracelets in a shop. 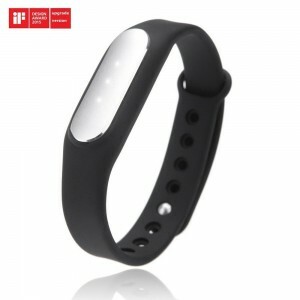 The bracelet that I thought looked the best was the Mi Band Fitness tracker, a Chinese brand, and it is also cheap compared to some other brands. I got mine for £20 online. To set it up you connect it using Bluetooth. It was a bit tricky but suddenly, like a miracle, it worked. I started to wear it immediately. I set my daily activity goal at 10,000 steps. The first day I only did 9,000 steps, so I changed my goal to 9,000 steps and kept it there. In the past I’ve had apps on my smartphone that measured how far I walked. The outcome was that the app was on all the time and used up my phone battery. I have never been one of these people who sleep 8 hours straight at night. For a long time I had a tendency to sleep well for two weeks followed by a few days of poor sleep. It holds me back and I feel like crap. Then I sleep better again. When using the bracelet it gives me proof of how much I sleep, and I sleep much more than I thought. Getting this information was a revolutionary experience for me. I sleep between 6.5 and 8 hours a night. There is a function that tells you when you experience deep sleep and light sleep and the patterns of when they occur. I’ve noticed that when I sleep in London I have less deep sleep and when I’m in a quieter place I experience more deep sleep. I’m not sure if this is 100% accurate but it at least gives an indication of what’s going on. After a night with 4 hours of deep sleep I’m more rested compared with nights with 2 hours of deep sleep. The function that shows you if you are awake in the middle of the night is also great. It’s the yellow bars. When it comes to measuring my movement the bracelet sometimes thinks that driving slowly is walking and if you are cooking and moving your arms it also counts that as steps. It’s a big difference in my movement depending on where I am. If I’m in London it’s often enough to do two to three errands and I will walk 9,000 steps. When I travel or when I’m in Sweden I actively have to go out for a walk to reach my 9,000 steps. In my research getting to know more about fitness bracelets I heard about Quantified Self Meet-up Groups and I checked out their website. 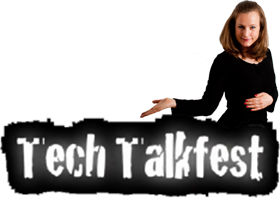 I listened to some of the talks on the web from their events. It’s interesting to learn what people have found out about themselves using tracking technology. The Internet of Things is here to stay and we are going to measure things for pleasure and because we have to. I would never share my goals or results with other people on social media platforms such as Facebook and WeChat. It is possible but no, thank you. The data is for me only. 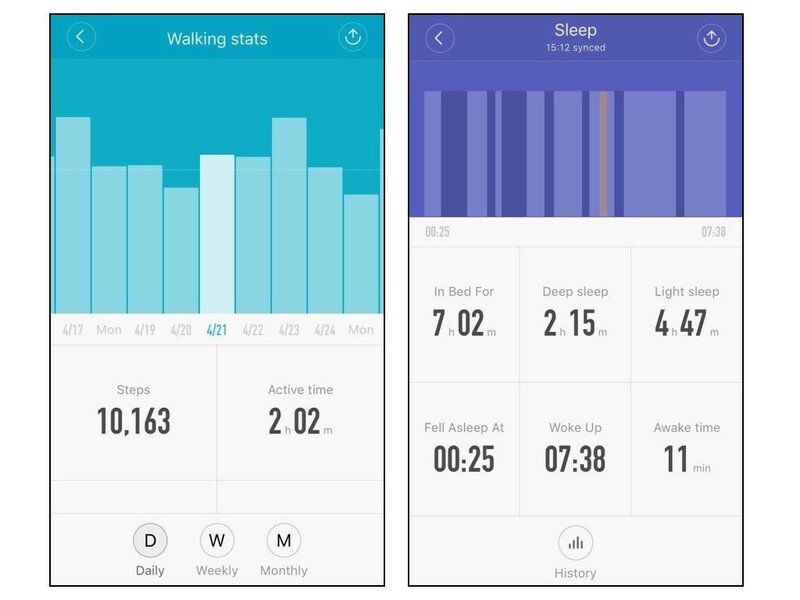 It gives you information about your activity and sleep. It vibrates when someone calls you. Great if you have your phone in your bag. The battery lasts for at least 30 days. It can feel a big strange to sleep with it on your arm. If you are writing on a keyboard you may have to take it off. For me it feels uncomfortable. You can check out the Mi band online here. 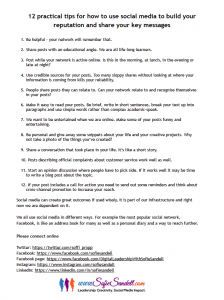 And sign up to my Digital Leadership Inspiration newsletter here. I have a lot of experience under my belt when it comes to exploring the mind and body. I’ve done numerous interesting detoxes where I excluded all kinds of unhealthy food and drinks from my diet and added disgusting green powders and seaweed drops that were supposed to be good for you. To help me cope with stress I’ve taken lots of vitamins, amino acids and minerals. I’ve had periods when I took at least 10 different supplements per day. I’m pretty sure that my doctor wouldn’t recommend the homemade combination of pills I managed to digest every day. I’ve also done lots of personal and professional development courses and seminars. Some of them I thoroughly enjoyed, and I found new friends when attending many of them. But the long-term effects of these kinds of activities faded away and I was back to good old me again. There are hundreds of books and seminars about how to live your perfect new life and be healthy, happy and confident, and some give sound advice. But they also all trigger something that’s human: we all crave simple solutions to all our problems. It’s easy to fall for marketing, personal success stories and all kinds of promises. Scientifically speaking there are no miraculous vitamins, detoxes, courses or quick-fix therapies that will help you find solutions to multifaceted problems. Many dietary supplement providers, inspirational speakers and self-help authors sell snake oil! Some use stories that have the same theme as The Emperor’s New Clothes by Hans Christian Andersen where the emperor believes the weavers who tell him they will make him an invisible suit, and then in reality there was nothing there and he ends up walking around the city naked. If you are really looking for supplements that will work for you now, in 2016 and forever, here is the list of vitamins you need to add to your diet. With more knowledge you make more sound decisions, and you stay away from things that might not be good for you. This vitamin will also help you ask the right kinds of questions, and you will be able to explore situations and topics more deeply. Show other people kindness and they will show kindness to you. Increasing the levels of vitamin kindness is not a weakness but a strength that we are all dependent on. With compassion we are more tolerant of people who are not like us, we show that we understand that everyone has different problems and challenges that they are struggling with. This vitamin needs to be taken every day. People with higher levels of self-compassion dare more and care more; they forgive themselves when they fail and they do not try to be perfect. Lack of vitamin S often leads to procrastination and deep self-doubt. This vitamin comes in handy when something doesn’t go your way and helps you to stay focused on what really matters. Always stay alert and acknowledge that we live in an era of a lot of false ‘facts and information’ floating around the internet. This is one of the most important antioxidants you can have in your system and it helps you stay focused on what can really help you. With love and support from the people in your family, network and workplace you can overcome most setbacks and challenges. Without trust in our relationships it’s hard to be as productive and effective as we would wish to be. With more trust in our lives we are brave and invincible. There are days when you lose faith and hope. Vitamin H helps us to remember that change will come into our lives. If you don’t get the chance to naturally move around in your life, maybe you sit for long hours in front of your computer, you need to get this vitamin into your life. It will bring endless benefits to your health and wellbeing. With new experiences under your belt, you learn about yourself and the world. When you are actively participating in an activity this supports your whole being. Listening to music that you enjoy is a pleasure for your soul and body. I know from my own life that any change takes a lot of effort, and it comes with both relapses and nagging conversations with your inner critic. We somehow ended up living here on planet Earth together with 7.35 billion other people. Life is complex, we feel lonely and misunderstood. There are, to some degree, things we can choose, but everything in society is also connected and there are many circumstances that we can’t control or even plan for. Please, remember to be kind to yourself when you are setting goals for 2016. I read every email, comment, and tweet that you send me, so please do reach out.